Hanoi (VNA) – The Central Power Corporation has worked with the Da Nang Power Company Limited and the Central Grid Company to ensure the supply of electricity for the upcoming APEC Economic Leaders’ Week in any circumstances. 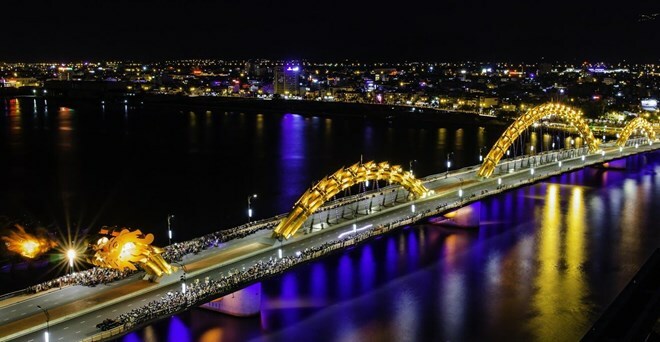 Chairman and General Director of the corporation Tran Dinh Nhan said it has accelerated investment in building the power network since 2015 in preparation for the important external event, which is scheduled to take place in the central city of Da Nang from November 6-11. The corporation has completed the inspection of fire prevention and safety at transformer stations while sending a number of specialised vehicles and electricians to support the city to quickly deal with any situations, he added. The year 2017 sees the second time Vietnam has played host to the Asia-Pacific Economic Cooperation (APEC) forum after 19 years of membership. This demonstrates high trust the international community has given to Vietnam and features the country’s strategic vision on the future of the Asian-Pacific region, according to President Tran Dai Quang. Through the host of APEC 2017, Vietnam also looks to enhance friendship and partnership with other member economies. Vietnamese businesses have more opportunities to establish ties with the world’s leading partners.